The first MRTP-20 for Egyptian Navy. Photo: turkships.com. Used with permission. The first Yonca-Onuk build MRTP-20 class fast interceptor has been shipped to Egypt. 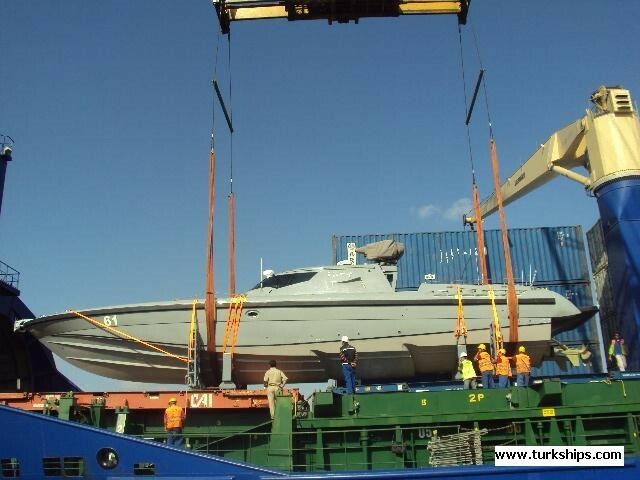 In 2010 the Yonca – Onuk and Egyptian Navy signed a deal for the procurement of 6 MRTP-20 class fast interceptor boats. Three boats will be constructed in Istanbul at Yonca-Onuk Shipyard and the others in Egypt’s Alexandria Naval Shipyard with technology transfer. Moreover, Yonca-Onuk will provide all the material kits to be used during the construction in Alexandria. 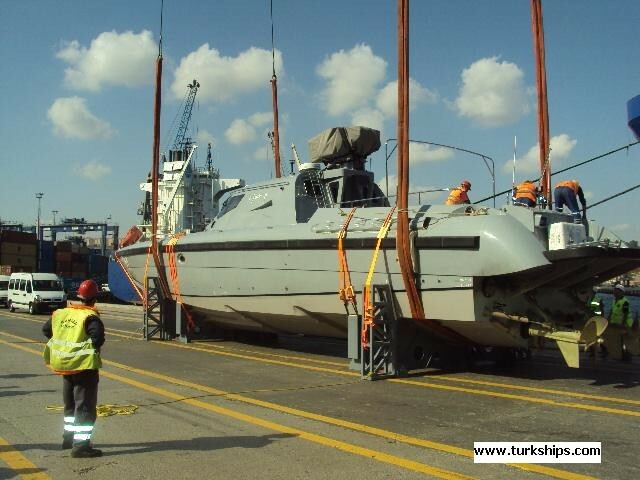 The boats are equipped with ASELSAN’s STAMP, stabilized machine gun system. The scheduled delivery date for the final boat is December 2012. After, Georgia, Pakistan, United Arab Emirates and Malaysia; Egypt is the fifth country to operate Turkish designed and build MRTP class boats. Looks like the same color Canada uses.